In this edition of the Hidden Rides and Themed Attractions, we will not go to that old trope of "Let's mock Mormons." You want a fact? Mormons are generally pretty nice people. They usually spend a lot of time with their kids, they aren't really rude, and while they have opinions I don't agree with related to caffeine or beer ABV or a lot of things, Mormons are a particularly offensive group. Enough of them nearly flipped to vote for a random FBI agent in the 2016 election that it could have sent the entire Presidential election to a drawing of straws. So we aren't going to do that. It's cheap and easy and shooting fish in a barrel. Besides, it's a cop out to not talk about what Utah actually is like: it's an outdoor wonderland with incredible mountain and ski resorts (which we'll talk about), awesome river rafting, deserts, rock formations, cliffs, canyons, vast salt flats, prairie, yup, Utah has that. The golden spike was driven into the Transcontinential Railroad here. The Winter Olympics happened here in 2002. Other things happened here too. OK, so look, let's go back and talk about Mormons, but respectfully, OK? Salt Lake City isn't just a Delta Airlines pseudo-hub: it's literally the equivalent of the Vatican or Jerusalem to a distinct religious sect with a few million followers. There are 1 million more Mormons than Jews in the US. I just looked it up. It's true. I could even cite sources! And when you're someone's Vatican, it is fairly easy to say important things happened there at some point, even if I may be skeptical of certain claims related to those important things. In the history of the region, Utah has had two significant amusement parks: Lagoon and Saltair Beach. Saltair Beach had some space for swimming, and if you look at photos from the period, you can see what is ostensibly an amusement pier style park. Except that unlike most of these types of parks, it is well inland. And unlike all of the inland boardwalk parks (I'm looking at you, Indiana Beach and Cedar Point), it had salt water. Really salty water from the Great Salt Lake, which if you have never been is admittedly not very attractive, smells funny, and has an enormous amount of brine flies. This may not sound like a conducive environment for outdoor recreation, but when you are otherwise at high altitude on a plateau, and this is the body of water you've got, it is the amusement park you have. Well, at least until it burned to the ground in 1925, then again in 1931, then when the water receded and a train had to be built to get people to the water in 1933, and then finally in 1967 and 1970 with, you guessed it, more fires. Big wood structures in the desert are flammable. Who knew? That doesn't mean there isn't a Saltair now. The original's pylons are sitting in the dirt of the receding Great Salt Lake. Meanwhile, almost within visual distance, is Saltair II, built around an old Air Force hangar and nearish to the Salt Lake. It's a concert venue/convention center sorta thing. Primus and Mastodon are playing there on July 2nd if that sound appealing to you; Jack White shows up on July 9. The spirit lives on, kinda sorta. And if you step out to the water, you can imagine what it was like way back in the early 1900s, floating in water that won't let you do anything but, surrounded by the mummified corpses of seagulls who miscalculated dives at prey. But enough about the past: There's the present, and that's Lagoon. Except Lagoon falls under every definition of "known" - it's big, it advertises outside it's market, it draws in excess of a million people, it even fabricates and builds it's own rides. Lagoon has some negatives: the water park isn't that great, I'm not that hot on the animal enclosures on the zoo train, and the food is generally pretty bad. However, the park does a lot in terms of fit and finish to rides with regards to stations and queue lines which rarely is seen by smaller parks or even regional themers. It is well landscaped. It has two dark rides, and an array of unique roller coasters. It's pretty wonderful. It even has its own Pioneer Village area with museum exhibitry and a prison. Yes, Lagoon has a jail, and they even used to put up prisoners in it. None of this is a lie. But reading about Lagoon isn't enough to justify writing about this. You want different. You want new. Enter: The Train Shoppe and Ricochet Canyon Fun Center. Why is this place relevant? Well, there's two attractions in here that may actually qualify as dark rides: The Ricochet Canyon Scenic Railroad looks to be an Italian built kiddie train of some sort that cruises past small set scenes with animatronics on a tight loop. Salty Mine Exploration Company has individual cars and provides lights to riders to try and find "hidden items". Both attractions are geared towards a younger set, but adults seem able to ride as well. Train fans can also find occasional public days at the Canyon Meadows Park miniature train to get a fix of steam powered action. In the greater vicinity, there ski resorts have predictably acquired Wiegland mountain coasters. Park City and Snowbird both have them, with Park City's being nearly twice as long (and one of the biggest in North America). For someone looking for bigger thrills, the Olympic Park has winter and summer bobsled experiences that are anything but "themed" - they're the real thing, just like actual bobsledders do. There's occasionally luge as well in the winter you can try out. Salt Lake City and the related college down of Provo (home to BYU) have a few family entertainment center type destinations. Liberty Park in Salt Lake City has a small ride collection, anchored by a Eli Wheel. Seven Peaks Fun Center in Lehi is at the rough midway point between SLC and Provo, and features a mix of family rides, go karts, mini golf, and other typical FEC fare. The SLC location of Seven Peaks is a straightforward water park; probably significantly more refreshing than a visit to the Great Salt Lake. Provo Beach Resort can't be classified as a water park: it lacks enough aquatic attractions for that. It does have a Flowrider, as well as a ropes course, laser tag, and arcade. Strange mix, but it seems to be working. When it comes to animals, Hogel Zoo is the state's sole AZA accredited facility. Like many zoos these days, it has a CP Huntington Train and a carousel with exotic animals. Exhibits are expanded and of course themed to resemble the areas the animals are from. For extinct creatures, Utah has a lot of dinosaur fossils, and thus as expected has a dinosaur attraction or two. Aside from the great natural history museums, those seeking to scratch the itch of seeing enormous reptile related things could hit up George S. Eccles Dinosaur Park. Several animatronic dinosaurs are placed outside for viewing in addition to indoor museum style exhibits and working paleontologists cleaning fossils. One interesting phenomenon that is largely isolated to Utah is that of the Nickelcade: arcades in which people pay for entry, then pay for additional time playing games using nickels in some format. While this is not expressly limited to Utah, the density of them in Utah is far, far greater than any other. In Greater Salt Lake City alone, one can visit Nickel City, the Nickelcade of Taylorsville, or Sandy Nickelcade. My experience visiting these is that the games are typically at the end of their lifespan, not in the best of working order, and sometimes hilariously placed (e.g. Shoney's Claw Machines). Utah's water parks aren't monsters: Cowabunga Bay emerged from the Huish family's FEC business, with Shane now heading the company. It features one enormous play structure; the largest in the world when it was built. Cherry Hill Water Park grew out of a campground, and is a mix of an outdoor FEC and aquatics center with some water slides. Classic Fun Center has 4 locations throughout the state, with 2 of them (Sandy and Riverdale), but neither is particularly huge either. Texas is not merely a state, but a Republic: it's proud of it's history as one of two independent nations to have become part of the United States. As the largest state in the lower 48 by volume and one of it's most populated, it exerts tremendous influence politically and socially as the true power center of the American South. 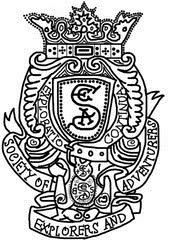 The independent streak of Texans is known not just nationally, but globally as a symbol of out hegemony. And yet, Texas is hardly some singular entity. It's a diverse state of robotics and tech, of chicano cities, of cowboys with hundreds of wind turbines, of coastline, of plains, of mountains. It has not one cultural capital, but multiple. Of Texas' great cities, Dallas is most likely to be recognized by outsiders and international visitors. The Metroplex is a vast sprawl of super highways and housing developments that stretches nearly 10,000 square miles and contains the 4th largest metro population in the US (it's the seventh largest CSA, which also shows you how outside of the development, it gets rural fast). As such a hugely populated zone, it's had a long and stellar history of amusements that is exemplified in the first theme park that succeeded after Disneyland (Six Flags Over Texas). It's second most famous amusement zone has some really big stuff - really really big. And you'd expect that with an icon like Big Tex standing over the whole thing. Yes, I'm talking about the State Fair of Texas. Fair Park is actually home to a huge number of permanent attractions and venues. Among these: the Cotton Bowl, the Museum of Nature and Science, Texas Discovery Gardens, and the African American Museum. Fair Parks is also one of the few major fairgrounds with large permanent rides. The Top O Texas Tower, opened in 2013, is a modern take on the old Willy Buhler Space Towers Intamin sold to so many places (including the still operating Sea World Orlando and San Diego models), built with a larger disc and a larger tower (500 teet!). It's not the only think that riders can take scenic photos from either, with the Big Tex Wheel standing in at over 200 feet and a long time record holder for largest ferris wheel in the US. The Skyway is also there, leading passengers over the midway and saving wear and tear on their soles. Bigger excitement comes from less scenic attractions: Fair Park has a permanent dark ride called Scary Park. Originally opened as Lumalusion, it's a Bill Tracy dark ride that's seen some freshening up for the 2016 season. There's also an Arrow Log Flume (Sparklett's Splash) and a Dentzel Carousel. And of course Big Tex. He was rebuilt bigger, badder, and fire proof after burning to the ground in 2012. At 55 feet tall, Big Tex is probably the largest thing approaching an audio-animatronic ever constructed. Staying near downtown, The Dallas Zoo also has several rides of its own: there's an Endangered Species Carousel, a trackless "mini-train", but most interesting is the Wilds of Africa Monorail. Seating is directed to one side facing the exhibits, with rock work, water falls, and of course tons of animals. Slowly moving out to the suburbs, there's all sorts of smaller family geared parks and entertainment centers. Legoland Discovery Center in Grapevine has a somewhat unique driving attraction called Lego City: Forest Ranger Pursuit - it's a combination of the existing Driving School attractions with interactive bits more akin to dark rides. And there's a straight up dark ride too in one of the Kingdom Quest attractions. Dallas' actually has 5 dark rides in the metro area: 2 at Six Flags Over Texas, the Legoland and Fair Park dark rides, and an original Pretzel located at a small park called Sandy Lake in the suburb of Carrollton. There are several other attractions here, including a train ride, Herschell kiddie coaster, and several small kids rides. Alley Cats in the city of Hurst has a more modern coaster (the ubiquitous SBF/Visa Spinning Model, referenced in nearly every one of these pieces), several other kids rides, go-karts, and mini golf. Mountasia Family Fun Center in North Richland Hills has a similar list of attractions, but subs out the superior spinning coaster with a powered Miner Mike model from Wisdom. On the outskirts of the city, YesterLand Farm is one of the largest in a growing segment of agrotourism parks featuring a mix of kids rides, home built wackiness (Apple Cannons! Duck races! ), and plenty of time to engage with domesticated animals. On the opposite end of the spectrum: Zero Gravity Thrill Park. Nothing but ultra high thrill attractions such as America's only remaining SCAD drop (no bungee, no cord, super high liability insurance free fall into a net), Skycoaster, Skyscraper propeller ride, and both a reverse Bungee and standard Bungee jump tower. It's time to finally start making our way out of the Dallas Metroplex, but before we do, it's important that we mention another strange, Texas-only player. Several other large flea markets have opted to bring in amusement rides, but the three Trader's Village locations in Grand Prarie, San Antonio, and Houston all have some big rides in them. Just no coasters. All three have matching signature 128ft drop towers from Larson, and the majority of their other rides and attractions are also American made (Larson Giant Loops and Star Dancers, Chance Wipeouts, Yo-Yos, and Pharoah's Fury). Heading west, we find the kiddie coaster at Gatti's Pizza in Abilene's Gatti's Pizza location of the primarily Texas-based FEC chain. There's also what appear to be Ride Development Company bumper cars at their locations in Odessa and Midland, making them the only permanent amusement rides in that metropolitan area. For folks in West Texas, anything bigger requires a ride out to Lubbock or Amarillo. Long known to coaster junkies, West Texas is one of the more remote destinations for unique/strange coasters in the United States. Joyland in Lubbock isn't a big park, but it does have some interesting variation; transportation/scenic rides (sky ride, train), classic flats, and some kinda interesting production model steel (the Herschell Mouse is one of two still operating). Not that far away in the city of Amarillo is Wonderland, a more comprehensive park that has even more unique rides - Bill Tracy's Fantastic Journey dark ride is here, along with the former Mayan Mindbender coaster from Astroworld (Hornet), a wacky Hopkins double looper that was designed on the back of a napkin (Texas Tornado), another near last of its kind Miler wild mouse (Cyclone), a big drop tower from Moser which used to tour with Conklin Shows (Drop of Fear), and a Z64 Zyklon (the big kind) called Mouse Trap. Houston lost it's big theme park when Six Flags Astroworld was closed and sold for cash in an attempt to stave off what was an inevitable bankruptcy. In the 13 years since, many have come forward talking about building a replacement, but none exists yet. The closest thing to a replacement the Metro area has is a series of amusement attractions constructed by the local restaurant monolith, Landry's. Known outside Houston for chains like the themed Rainforest Cafe and Bubba Gump Shrimp Company, Landry's has long partnered with The Walt Disney Corporation, operating several restaurants both in the parks (Yak and Yeti) and outside of them in Disney Springs. There's no "Landry" behind the company, but rather Tilman Fertitta; offspring of the Fertitta crime family that once made Galveston into an illicit gambling and entertainment center. The same Ferittas, in fact, that were behind the construction of many casinos in Las Vegas and became primary owners of the Ultimate Fighting Championship. From those questionable origins, there is every bit of evidence that they are fully legit and corporatized now, but there's still a lot of love for the people of Houston and expansion in Galveston. There's an unofficial triumvirate that one can get multiday access for via their web portal: Historic Galveston Pleasure Pier is the newest of the trio, centered by the Iron Shark coaster from Gerstlauer and a Funtyme Starflyer. It has some design elements to evoke classic early 20th century facilities, but in some ways suffers from a gate entry price from really having the kind of crowds that would really make it feel like one. Kemah Boardwalk is the other seaside facility of the three: this time there's an absolutely top flight wood coaster (Boardwalk Bullet) as the signature attraction. There's also a substantial number of Chance's ride catalog here, such as an observation tower and a surprisingly themed CP Huntington Train. Finally, there's Downtown Aquarium: very similar thematically and design wise to the Sea Life and Ripley's aquarium facilities, it also features an outdoor section of rides primarily again of Chance descent. The signature ride here is their train: it goes through a nearby building that has been converted into a huge shark aquarium, and the train has a plexiglass roof to allow riders to see through into the tank from below as it travels a polycarbonate tube. There's also animatronics and....well, that's that for spoilers. Not part of the pass, but still part of Landry's empire, is the River Adventure Ride at the Rainforest Cafe in Galveston. It uses round boats similar to a rapids ride as it traverses a winding indoor path around animatronic animals galore. San Antonio feels like it doesn't belong to the United States at times: The Missions are maintained by the National Park system sans one (The Alamo, which is the most emotionally fraught but also visually the least interesting), there's systems of 18th century aqueducts around, there's the Riverwalk, there's the historic La Villita Arts Community with nearly 30 historic structures, and the natural beauty of the rolling hills around it. As one of the 10 most visited cities, it also has a surprisingly large number of amusement facilities: Sea World San Antonio and Six Flags Fiesta Texas don't really apply for long form discourse here, but they're nowhere near the only options in town. The center of the city itself has some strange gems, in fact. Take, for example, Tomb Rider 3D, part of a Ripley's complex directly across the street from the Alamo's front entrance. Both nondescript and appallingly tacky at once somehow, it's actually a Sally interactive dark ride that manages to fit in stereoscopic 3D video that is shootable along with some kinda custom bits. It's a nice change from the average Sally Ghost Hunt style ride. Over at the Tower of the Americas, there's Skies Over Texas 4D: standard Iwerks motion base but a Soarin' style film about, well, Texas. A 5 minute walk away is the Institute of Texas Cultures; like the Tower of the Americas, it's a hold over from the 1968 Hemisfair (World's Fair), and there's a projection film that runs in its multi faced ceiling about the multicultural nature of Texas' development. Brackenridge Park is both home to the San Antonio Zoo as well as a lengthy miniature train ride with over a mile of track. Too bad the Von Roll skyrides here and in downtown were both removed in the 80s. Outside the urban center of San Antonio, there is yet more: Kiddie Park of San Antonio is exactly what it says it is; small CW Parker carousel with "grasshopper" jumper mechanism, Mangels kiddie rides galore, Whip, and what is probably a last of it's kind ride in the "School Bus" - basically a kiddie trolley attraction. Morgan's Wonderland is less classic, but in many ways shoots a lot higher, opting to try and have an entire amusement park that is accessible to every one of its guests regardless of disability. There are no giant rides - one swing attraction actually is built to accommodate wheelchairs, there's a train, there's a ferris wheel, etc. - but everything there is to accommodate everyone. It's an impressive feat, and it's earned them quite a lot of recognition. Now actually a recognizable city, Austin isn't just a trivia answer to the capital of a state with other important places, but a major metro all it's own with a more liberal flair. Schlitterbahn, the now embattled water park that innovated so heavily, was its prime getaway for years, but with growth comes new operations. Most notable by car is ZDT's Amusement Park, a 10 acre family entertainment facility that gained significant notoriety for building a wooden shuttle coaster, the first in probably close to a century. Switchback has both a forwards lift hill as well as a vertical spike which the ride descends to go backwards. Less impressive, but still "counting" is Austin's Park N' Pizza, one of the increasingly ubiquitous Pizza Buffet + Kids rides that are popping up nationally. You want dinosaurs? Texas has dinosaurs. How about dinosaurs AND a car wash? Austin has you covered again with Jurassic Car Wash has animatronic dinos that do a program on the top and half hour every day from 10AM - 7PM. Why? Because they can. Heard Natural Science Museum in the Metroplex also has an outdoor walk past big animatronic dinosaurs, should you have not gotten that out of your system at any number of Cedar Fair parks already. There are actually yet more weird rides on the outskirts: The Fireman's Parks in Brenham and Giddings, Texas both have permanent carousels operating. The both even have incredible origin stories: Giddings's Parks and Rec say there's was the result of a carnival company coming in, not being able to make enough money and requiring a loan, and putting the carousel up as collateral. The Brenham carousel was discovered in a field, abandoned during the Depression. It's Dare-carved horses are rarities among CW Parker machines, and it was basically pure fortune that put it in the hands of the local fair board to restore in 1930. It's operated ever since 1932 as a community run attraction. Texas, being a notoriously hot state, has a multitude of water parks. Rather than try to list all the big ones (Schlitterbahn! NRH2O! Typhoon Texas!) I prefer to try and focus in on the really unique. There's a connection between social conservancy and libertarian business regulations I don't really grasp, but it means that Texas has a couple really weird aquatics facilities. Chadillac's Backyard has lots of pictures of bikini clad women on it's web page while alternately claiming to be family-oriented (making families?). There's no Whitewater West stuff here, but there's huge slides that launch riders through the air and into the water and party decks. BSR Cable Park gained a measure of fame for their giant ramp, the Royal Flush. Participants are flung into 20 foot deep water through the air at one helluva distance. Oh, and BSR Cable Park also has the world's longest lazy river, well over a mile long. Bring cans of Shiner Bock (glass bottles are strictly prohibited). 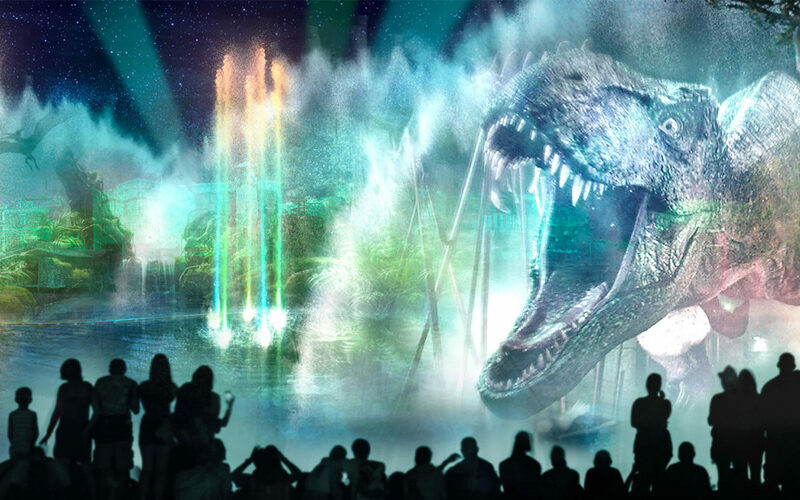 Universal Orlando Resort finally announced the worst kept secret in Orlando: they're putting in a new fountains based nighttime show at Universal Studios Florida. "Universal Orlando's Cinematic Celebration" will use 120 fountains, mist screens, projection mapping, fireworks, and more to bring the movies to life. Unlike the old Cinematic Spectacular show, which featured clips from movies on water screens, this new nighttime show will showcase the movies in unique ways. Mike Aiello, Senior Director for Entertainment Creative Development at Universal Orlando, provided this quote to Leaky Cauldron best describes this new show. Expect to see characters, scenes, and moments from the movies featured in the theme park, such as Jurassic World, Despicable Me, Fast & Furious, Harry Potter, and the movies of DreamWorks animation. Testing is quickly ramping up, check out this amazing video from Midway Mayhem to get an idea of the scope and size of this show. Reportedly the show ran a full run through last night, June 14th after the park closed. Those who were able to witness it were very impressed. Universal Orlando's Cinematic Celebration show opens later this summer.